While walking home one night from school, a young girl is chased through the streets by a team of men and is brutally murdered. One year later, a mysterious team known as ‘the shadows’ arises. Led by a powerful leader (Ma Dong-seok (마동석) and his deputy (Ahn Ji-hye (안지혜), the shadows begin abducting seemingly random and successful men, demanding a written confession. If the abductees are unwilling, then various forms of torture soon remedy the situation. 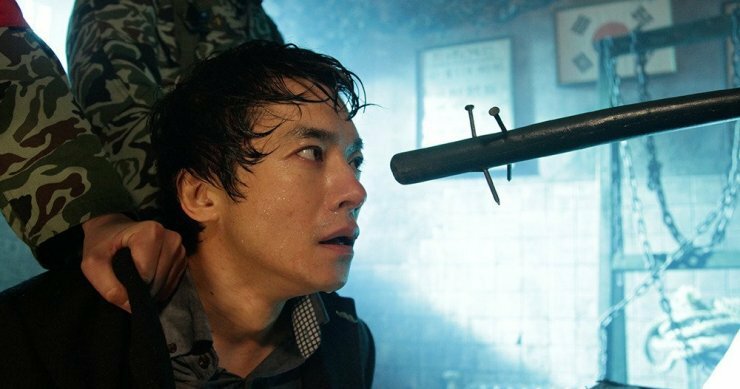 Yet when Oh Hyeon (Kim Yeong-min (김영민), the first victim to receive punishment from the shadows, begins trailing them, he is alarmed by what he uncovers. One on One (일대일) is quite a refreshing change of pace for director Kim Ki-duk. His past few films, such as Moebius and Pieta, have arguably tended to focus more on excess and shock value rather than storytelling which, as a marketing tactic, has done wonders for his career and international exposure – awards. 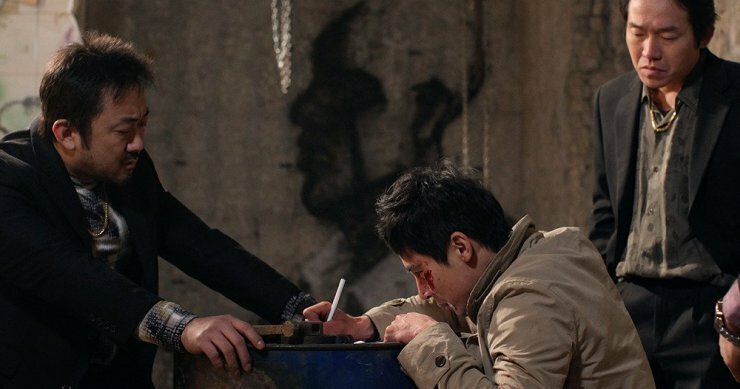 With One on One director Kim has returned to more traditional filmmaking fare by incorporating a linear narrative framework, while the story itself deals with individuals in the back alleys of Seoul who have fallen through the cracks of contemporary Korean society. Coupled with camera techniques reminiscent of his early works, director Kim has seemingly returned to his roots through this ‘raw’ tale of the circular nature of revenge. Director Kim has always been a particularly divisive director, yet within his films his consistent desire to explore the social problems in Korea are always present and interesting. For many audiences it’s the manner in which he conveys such issues that raises alarm, however One on One is a much more toned-down affair than his previous efforts, less violent (both psychically and sexually) as well as less gratuitous, although it still contains his indelible stamp. Instead, director Kim allows his characters to express his societal concerns through the dialogue, quite a change of pace considering his tendency to focus his critiques through physicality. Within One on One, the primary issue explored is one particularly unique to Korea – that in order to be successful, a junior must do whatever a senior demands, regardless of the ethics involved. Director Kim examines the socio-cultural phenomenon in an interesting, and ironic, fashion, as ‘the shadows’ simultaneously attempt to take revenge against those who were carrying out orders, yet following those of their leader in order to do so. The narrative impressively links all the characters together through their sense of ‘Han’ (suffering), depicting them all as victims of a cultural system that demands success at any cost, regardless of their wealth and social status. For the shadows, each member has been wronged in a manner that has forced them into poverty, whether by greedy landowners, oppressive spouses, or even the Korean education system. In regards to those comprising the social elite, their very souls have been tainted by what they have undertaken, turning them into fascistic monsters. However while the film explores some very complex social features – issues that have risen to prominence following the Sewol ferry disaster – the narrative is incredibly overambitious. In scrutinizing such a vast array of issues the result is a rather superficial examination of each area, whereby the suffering of each shadow member is only glimpsed. As such it’s difficult to become wholeheartedly invested in their plight as well as the moral quandary arising from taking revenge. Also contributing significantly to the lack of empathy is the poor dialogue, which at times is quite naïve and simplistic, especially during the scenes spoken in English. Similarly, while Ma Dong-seok provides a powerful performance, and to a lesser extent (boy and girl), the supporting cast range from mediocre to poor which adds to the apathy. One on One is something of a refreshing film by director Kim Ki-duk. In focusing on social issues through a traditional narrative framework, and in conjunction with rather ‘raw’ camera techniques, director Kim has crafted an interesting examination that removes the excess of his prior films. However as One on One is overly ambitious as well as containing poor dialogue, the film is difficult to fully invest in, and as such is an intriguing yet flawed addition to his filmography.